Mixing metals isn't as hard as it might seem. Fashion used to tell us that mixing gold and silver was a complete no-go, let alone including rose gold. But really, mixing metals can be a fantastic way to style a look that's beautifully unique. Many of us aren't sure how to style them well, so here are five steps to get you started. Choose a main metal, and accent with smaller pieces in other colours. 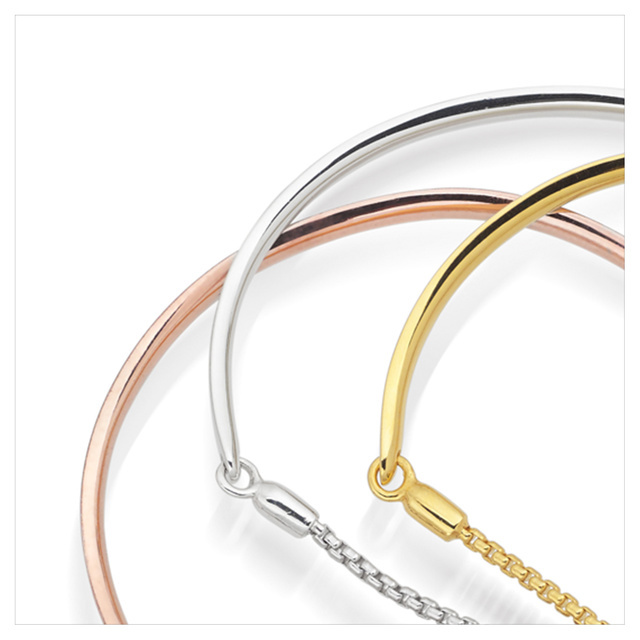 Try and ensure the metals are well balanced across your entire look, and not just where you're stacking or layering. And feel free to mix more naturally, rather than following too much of a pattern. If you're a beginner, and not ready to try mixing all three metals across your whole look, that's fine! Start with two metals, and then build your way up to three. Or, choose one dominant metal, with a single moment of mixed metals. 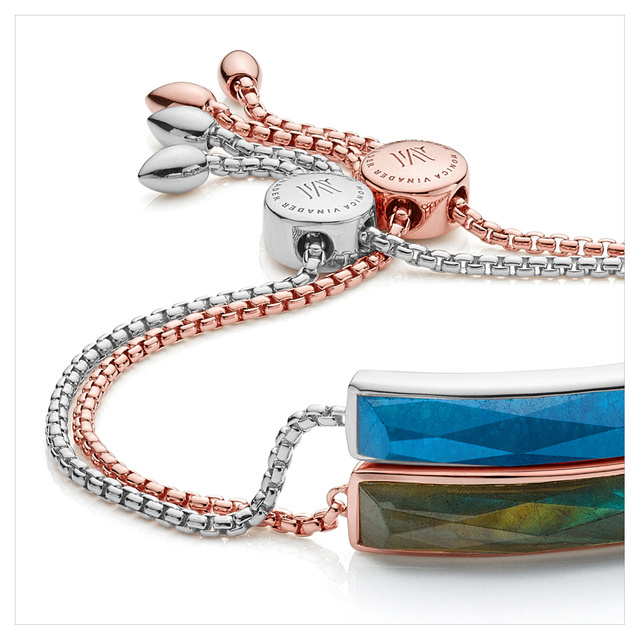 For example, you could have one set of bracelets in mixed metals, and rose gold across the rest of your jewellery. The size and shape of your pieces should also come into play. Delicate pieces are easier to mix - so you can be freer with these. With chunkier, or statement items, try dressing with finer pieces to mix metal colours - or for a real statement - two larger pieces, and nothing else. You may want to wear the same piece in different metals. That works well especially for simpler shapes, like the pieces in our Signature collection. Then it's much easier to mix, even across all three metals finishes. Try to keep a strict palette across your entire look. If you're mixing metals and gemstones together, stick to a single gemstone colour - or a small colour palette, such as different tones of pinks or blues. Similarly, if you have coloured cords, try not to go too wild on mixing metals as well as cord colours. It's best to mix one or the other - and if you do both, keep it subtle. A quick tip on diamonds! Diamond studded gold is a really easy way to mix gold with silver, because the diamonds naturally pick up silver accents. When you're stacking rings or bracelets across mixed metals, a strip of diamonds is a great way to break up the silhouette. Pendant charms are really easy to mix across metals, and a great way to add a touch of all three colours across your look. Feel free to be playful with them, choosing the chain metal finish that suits you! If you're stacking multiple rings vertically or horizontally, consider the metal mix across both hands. Whilst the balance of metals doesn't have to be exact across both, try to keep the metals mixed the same. The joy of Monica Vinader jewellery is being able to style as you choose - we've designed our collections like that deliberately. Create your own steps sooner than do anything that doesn't look right to you, or doesn't fit with who you are. Just express yourself!